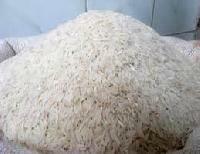 The company has come up as a highly efficient Exporter & Supplier of Basmati Rice . The Aromatic Basmati Rice is a favorite for many across the globe and is available in safe and highly durable packaging. The company is offering the Best Grade Basmati Rice to the clients at the market leading prices and the deliveries are always timely. Indian non-basmati rice comes in various kinds of shapes and sizes. Some are long and slender, some are short and thick, some are like beads, and some may be round. None have the uniform characteristics of basmati rice i.e. they do not have both the aroma and post cooking elongation. Some names of non-basmati rice are Sharbati, 104 IR8, Surti colon, Kala Joya, Culture, IR 64, Masuri, Govind Bogh, Tilak, Masuri etc.